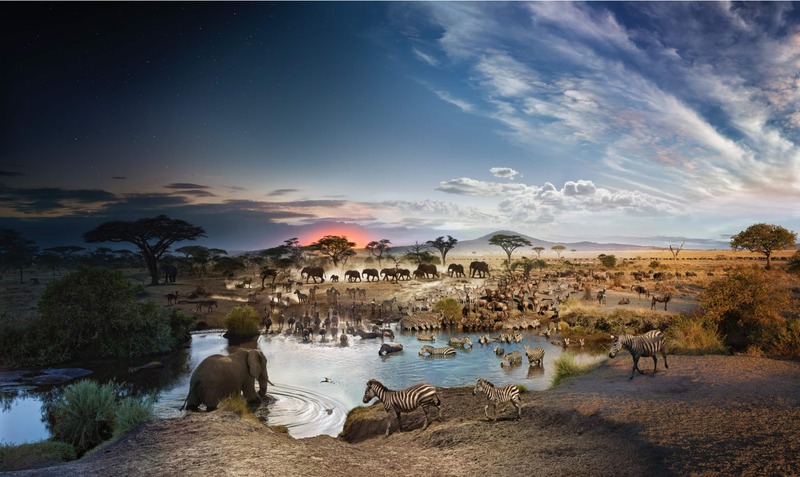 This awe inspiring composite picture captured by photographer Stephen Wilkes shows the range of animal diversity that visited a watering hole in the Serengeti National Park (Tanzania) over the course of 27 hours. The photo transitions across time as you move across the frame starting with sunrise on the right. For this particular shot, Wilkes spent 30 hours sitting behind a crocodile blind elevated above the ground in Seronera National Park in Serengeti, Tanzania. Wilkes shot photos over 27 of those hours. For each of his Day to Night pieces Wilkes shoots an average of 1500 images (about 20gb of storage) and then painstakingly selects the perfect images he needs in order to edit and stitch them together – creating the final composite masterpiece.